We offer a wide range of opportunities in Engineering: Maintenance Engineers in Electrical, Mechanical, Building Joinery and Systems, as well as Technical and Maintenance Management and Project Management roles. 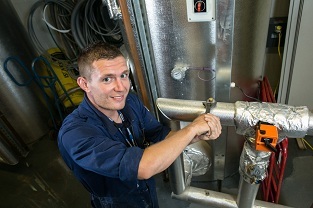 Whilst carrying out an Engineering role within the SPS, you will play a key role in designing, maintaining, repairing and installing systems on the varied SPS Estate. We offer stability and excellent career progression opportunities. We will invest in your development to allow you to learn and apply new skills which can include development into management roles. With an ever-changing prisoner population, our aim is to ensure that our workforce reflects Scotland’s diversity, delivering activities and services which have the capacity and capability to help transform the lives of those in our care to make them more responsible citizens and in turn making Scotland a safer place to live. To do so, we need to ensure our prison Estate is effectively maintained.